Celebrate the season at The Christmas Glow, a mile and a half of 3 million of lights at the Christmas Around the World drive-thru experience, visit Santa at the Christmas Village Santa Workshop or just take in the majestic lights of the 45-foot Christmas Tree as you and yours warm by the gas fire pits. Are you excited to come visit Southwest Ohio’s largest Christmas Lights Drive-thru event? We sure are excited to have you come visit the Christmas Glow at Land of Illusion in Middletown, Ohio. 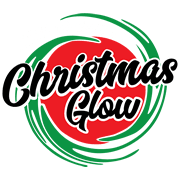 The Christmas Glow welcomes visitors from all over – Cincinnati, Dayton, Lebanon and Columbus, Ohio, as well as Kentucky and Indiana. You can make this Christmas season special with the lights, shops, covered fire pits! By visiting us you will also be making other’s Christmas Season bright – by bringing a canned good you get $2 off park admission and we will donate that item to The Hope House Mission of Middletown. Also – new this year we are partnering with Toys for Tots and will be one of their sponsored drop-off locations. We hope to see you soon!